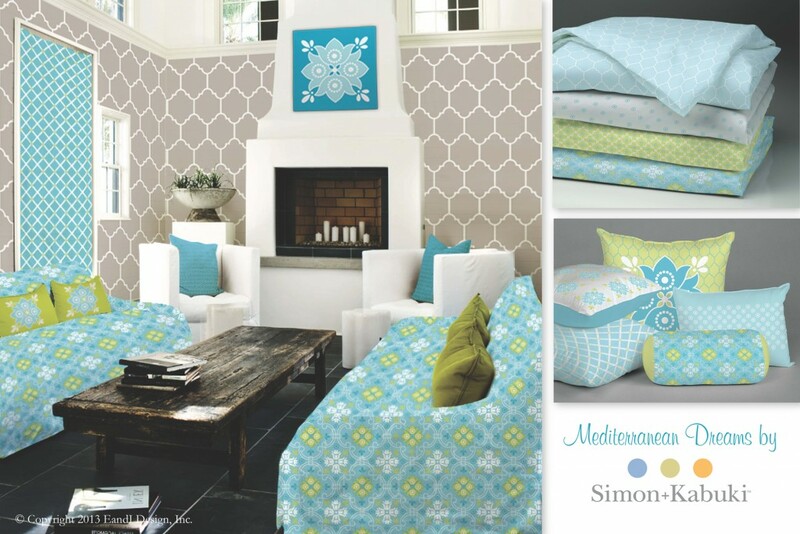 One of my favorite design collections is Mediterranean Dreams. I love the colors and the feeling I get when I see it. 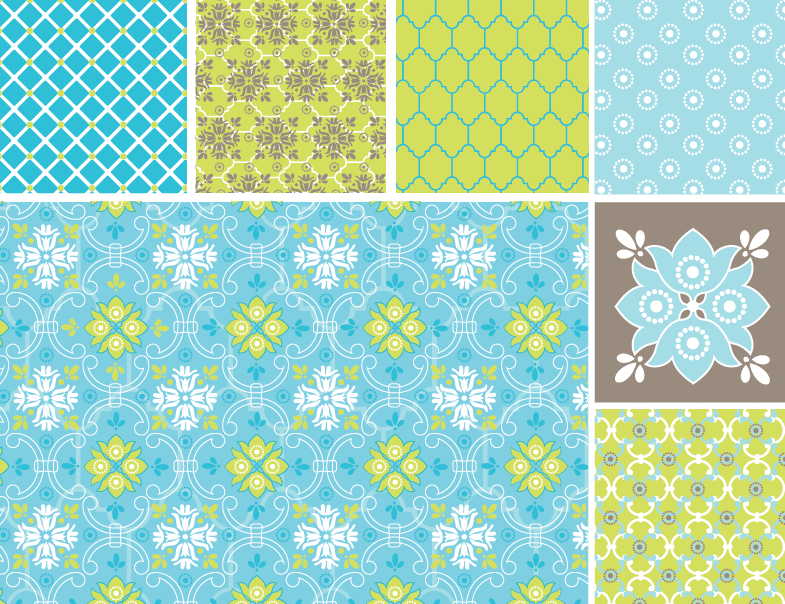 We have fabric that is out now in this pattern but we are also developing home decor products using the collection for Surtex and the Licensing Show. I would love to see pillows and sheets in this design. 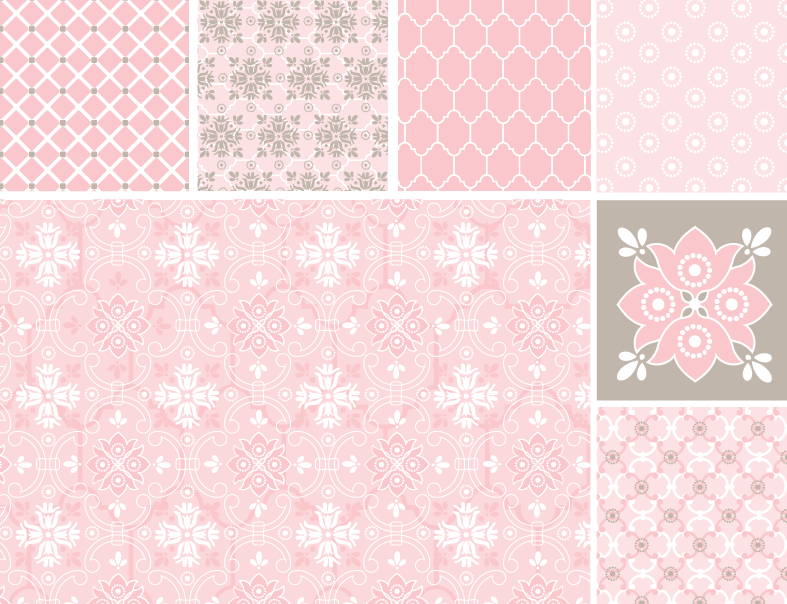 For home decor we softened up the tones a bit, the fabric collection is brighter. You can also currently purchase wall murals from MuralsYourWay. 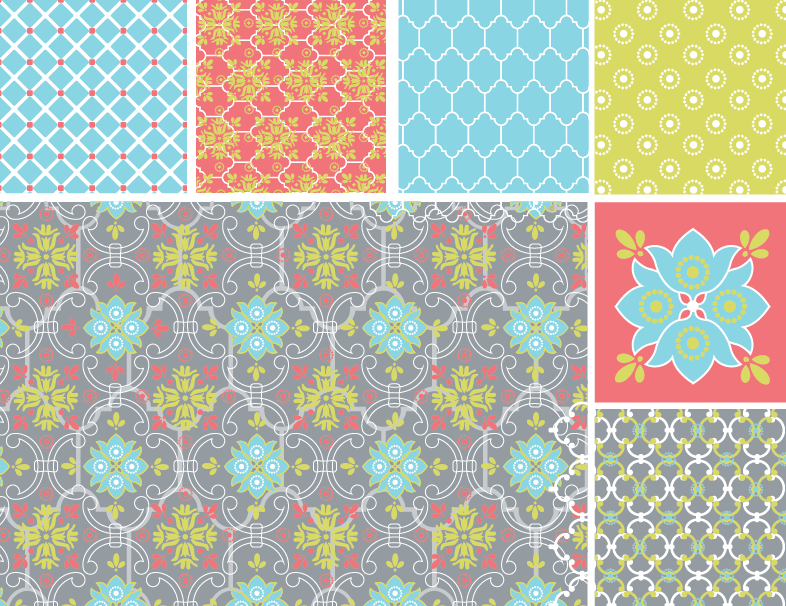 Below are the original design collection we did and also two color variations. Hope you like them! If you are attending either show, swing by our agent’s (Jewel Branding) booth and say hello.